In 2012, Charlie and Jenny Solberg, a father-daughter team, decided to transition their family’s passion project into a business. 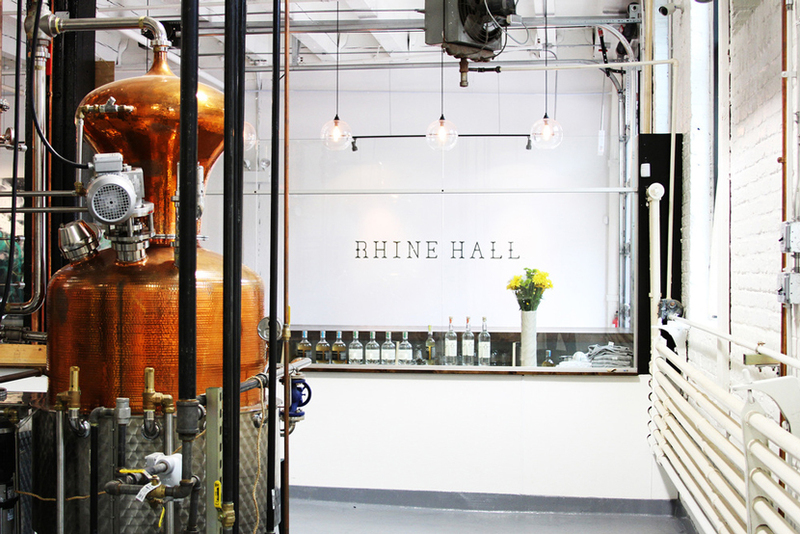 Thus came the opening of Rhine Hall, a distillery in the Industrial District of Chicago, Illinois that focuses on fruit brandies known as eau de vie or schnapp. They source their products locally from the Great Lakes Region and truly focus on supporting their community. 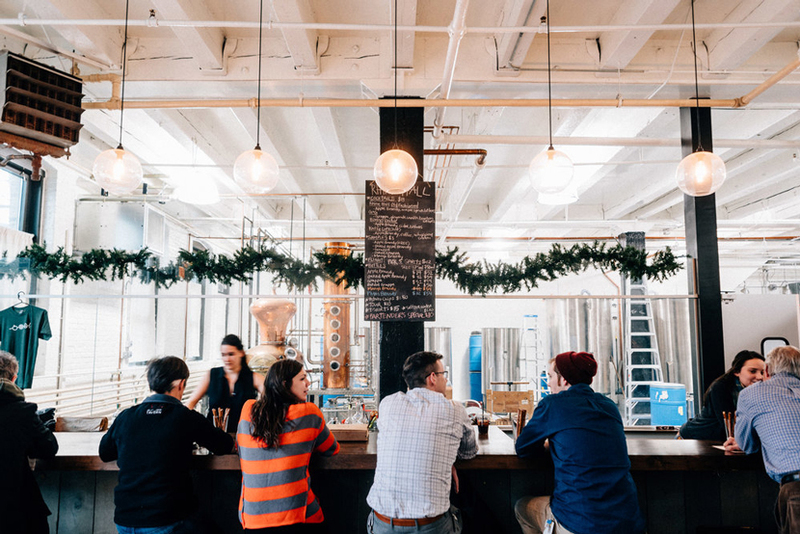 If you ever find yourself in the area, stop by for their signature Apple Brandy and a peak at Niche pendant lights above the bar. In the tasting room, a linear arrangement of Solitaire pendants in Crystal glass hangs above the bar. The classic look of our clear lighting complements the neutral, industrial-chic aesthetic and adds a warm ambiance in the space. The Edison bulb at the center of this popular pendant and the cylindrical shape of its glass body harmonize to accentuate enduring quality and beauty in a place rich with flavor and flare. 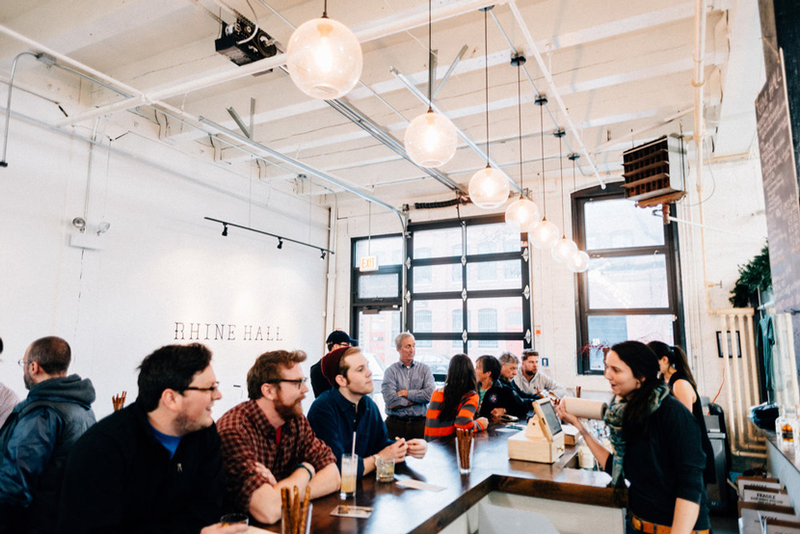 Get an exclusive and intimate look at Rhine Hall, their history, process and products while sipping on a flight of six of their spirits with one of our owners. Visit their website for more information regarding private tastings and tours.